The selling of cannabis for recreational purposes became legalized in the state of Washington on July 7th, 2014. 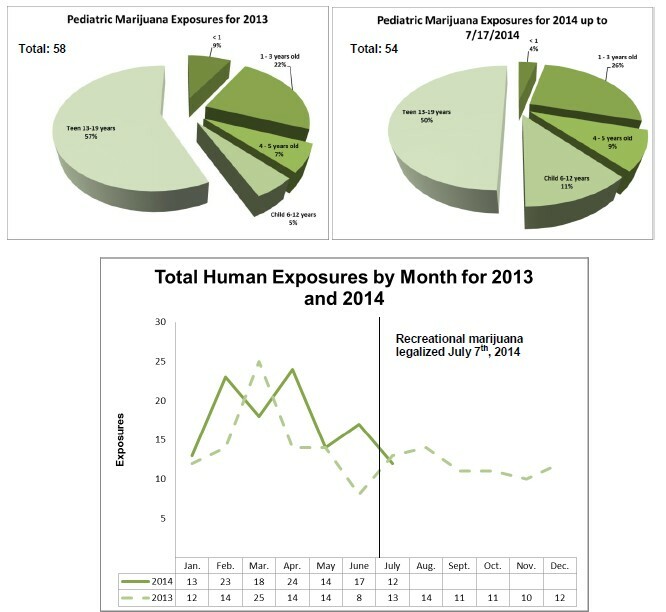 As a direct result, the Washington Poison Center (WAPC) has encountered an increase in the number of human exposures related to accidental or excessive consumption/inhalation of marijuana and marijuana edibles, particularly among pediatrics. This report serves to provide a running snapshot of current exposure data compared to previous years and a breakdown of the exposures being reported to the WAPC.